Made of glove soft natural tanned leather, this shoe features a new elastic with silicone backing ensures straps to grip the back of the foot as well as a revolutionary adjustable strap. 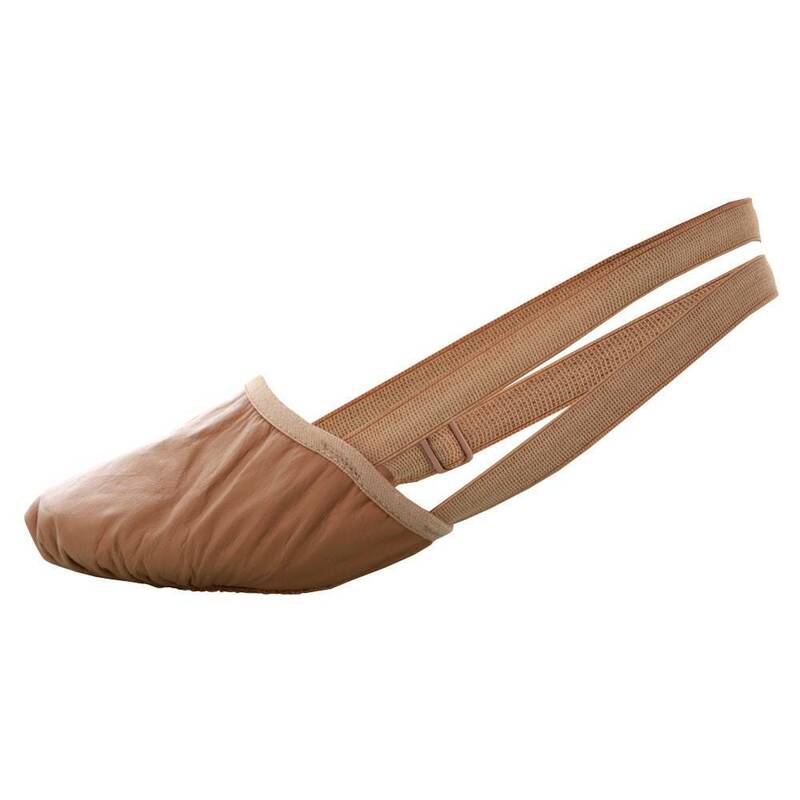 Featuring a sure-grip natural suede sole, the vegetable-dyed cut-away design displays the dancer's arch, while freedom pleats permit easy pointe to flex movements. Made on an anatomically curved last with left and right construction. 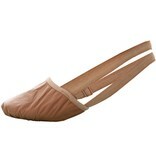 This shoe protects toes and creates ballet line without the heel.